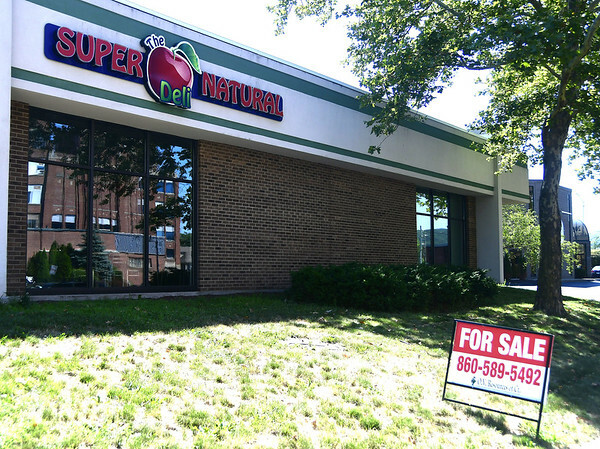 BRISTOL - The former Super Natural Market & Deli, at 224 North Main St., has been listed for sale for $1.3 million. After 37 years in business, including just over a year and a half at the current location, the Super Natural closed unexpectedly on June 15. The property is now listed on LoopNet commercial real estate listing service, . Built in 1985, it is located on 0.68 acres, with a building with a rentable area of 5,400 square feet and a parking ratio of 5.56 vehicles per 1,000 square feet. The building is listed by the city assessor as appraised at $618,700 as of 2017. The owner is Supernatural Deli LLC, which bought the property on July 28, 2016, for $500,000. Before that it was owned by Stafford Plaza LLC, which bought it in 2004 for $450,000. Previously it had been a Webster Bank branch in the 1990s and a Community Savings Bank branch in the 1980s. The eatery was founded in 1975 by Robert Plawecki. It was originally known as The Peanut Gallery and located in the West End. He later moved it to a location on Route 6, where it remained for less than a year in moving to what’s now the Price Chopper plaza. In 1981, he sold to two couples who owned “Herb’s and Whey” in Canton Village. One of the couples was Mark and Sara Asadow. By 2016, the Asadows, and their daughter Gail Asadow, were the owners and the Super Natural was located in leased space at 430 North Main St., near Route 6. In April that year they enthusiastically announced the move to their spacious new location at 224 North Main. They bought the downtown property and said they planned to invest $1.3 million in upgrading it with new equipment and a new, more convenient layout, including a new meeting room which could hold 16 people. City and chamber of commerce officials attended the ribbon cutting for the new location in November, 2016. “We’re going to be here for a long time,” said Gail Asadow then, thanking the city for its support in developing the new site. Sara Asadow died in February. Then by April the family had created an online crowdfunding page, citing financial struggles and stating the market would not be able to remain open unless they reached their $25,000 goal. They only ended up taking in a little over $4,000. And so the market officially announced its closing in June, with a sign on the door and a notice on its Facebook page. Mayor Ellen Zoppo-Sassu said then it was “really unfortunate” to see the long-standing family owned and independent business close, especially when it was due to them having difficulties after an expansion. Posted in The Bristol Press, Bristol, General Business on Friday, 20 July 2018 20:38. Updated: Friday, 20 July 2018 20:40.